Each candle is slightly different and will burn in it’s own unique way. We recommend placing your candle on a plate with a minimum diameter of 10 inches (25 cm) to contain the wax as it melts. 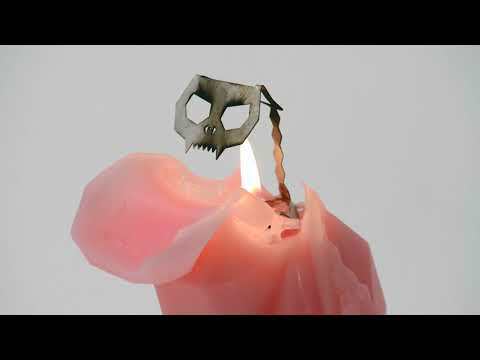 Melting Wax: Pyropet Candles are designed to melt in ways that are different from traditional candles. During the burning process they may release large amounts of liquid wax. care should be taken to put the candle on a plate or other contain to eliminate the risk of wax overflow. Hot Skeleton: Do not touch the skeleton during burning. It becomes hot and may cause injury if touched directly. High Flame: The flame may become high during burning. The wick of the candle should be kept trimmed to 1/4 inch. Kisa™ is certified to meet US and EU candle safety standards. The dimensions of a Kisa™ candle are: 6.7 x 2.9 x 4.5 inches (17 x 7.5 x 11.5 cm).